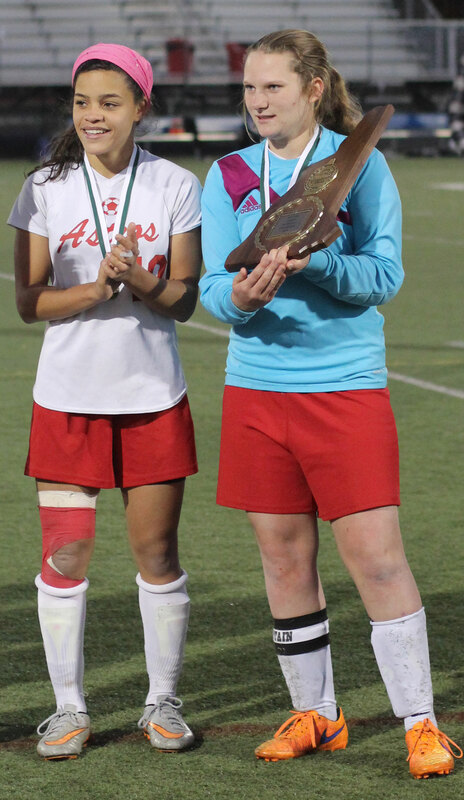 (Exeter NH) The Pinkerton Academy girls soccer team won the 2015 Division 1 New Hampshire state title 1-0 over Londonderry on penalty kicks on Sunday afternoon at Exeter High School. The title is the first for the #1 seed Astros (18-1). The #3 Lancers (16-4) had won eight straight before losing to their neighbors from Derry. There were golden chances for both teams. Not many but enough to make you think that it might take only two halves to settle things. 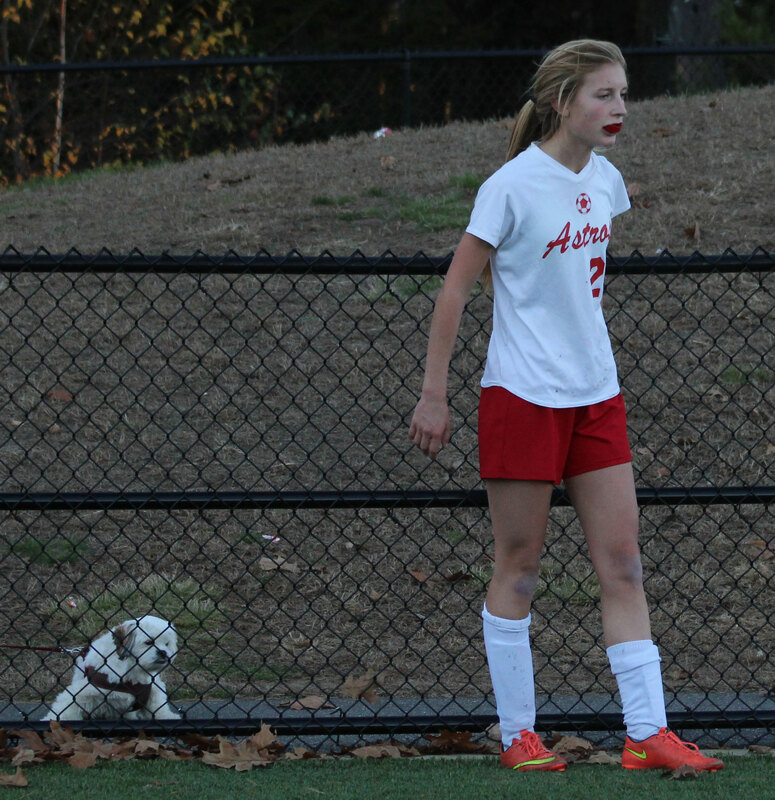 But PA goalie Sam Mitchell and LHS goalie Jackie Luckhardt had other ideas. 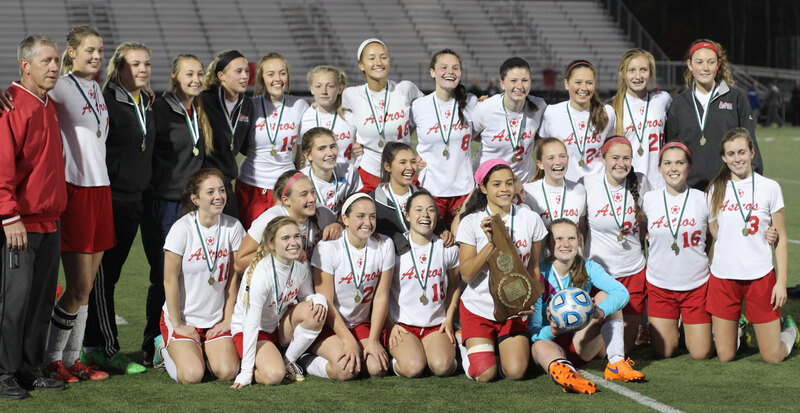 The talented seniors were key to getting this title match to penalty kicks. In PK’s, the hero of the game became PA goalie Sam Mitchell. 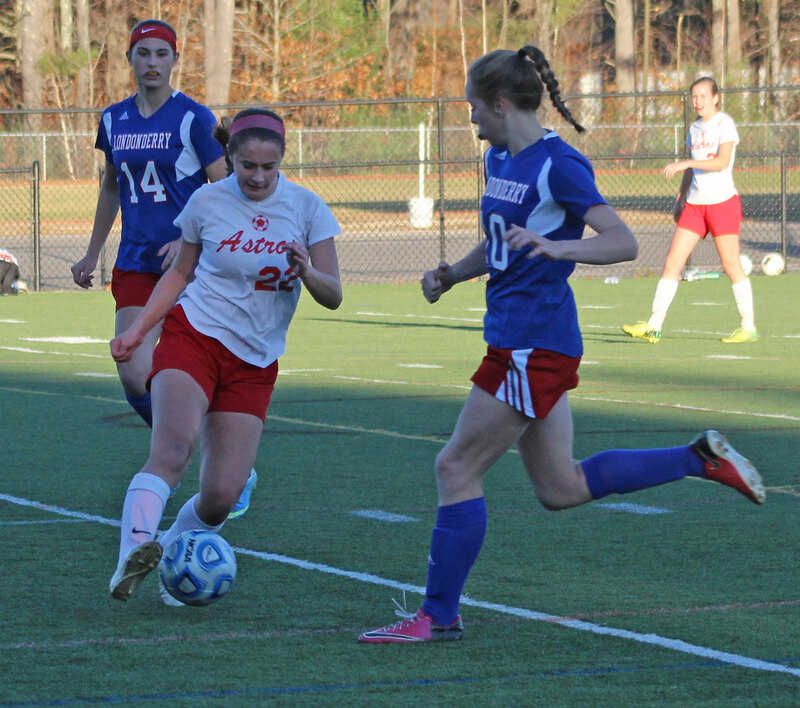 When the Lancers Gretchen McGrath hit the crossbar in Round 3, the Astros had the advantage. Finally, in Round 5, Sam guessed right and dove left to smother Mackenzie Donovan’s attempt and Pinkerton had their first title. 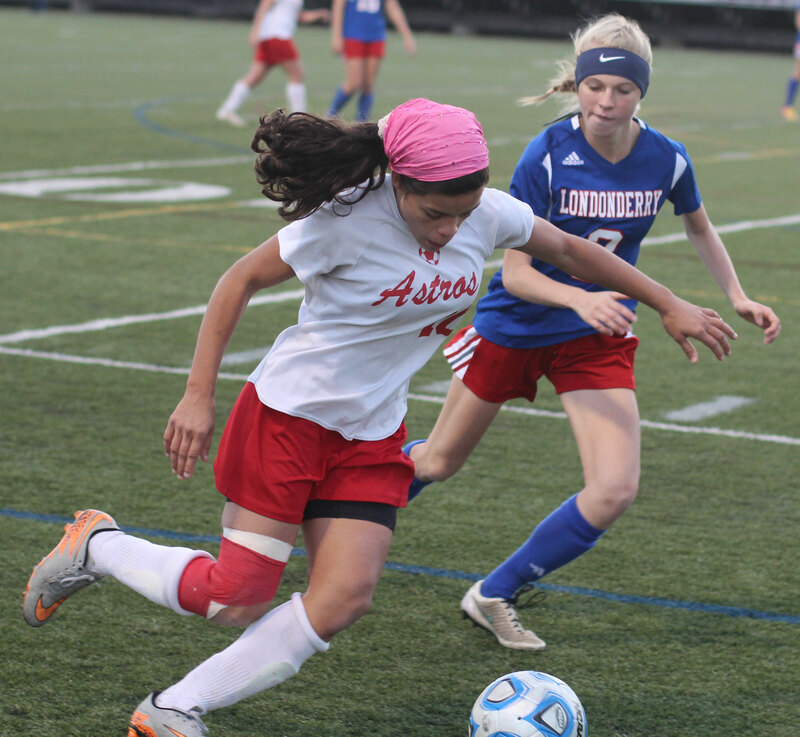 The Lancers’ loss lowlighted a forgettable weekend for Londonderry. The night before the LHS boys soccer team lost in the finals to Concord. However, earlier this year in March both the girls and boys basketball teams from Londonderry won titles on the same weekend. 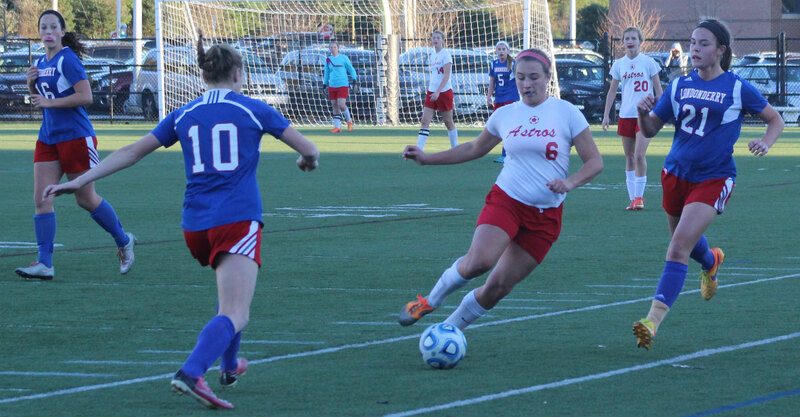 Courtney Velho had a penalty kick in the first half that went wide. 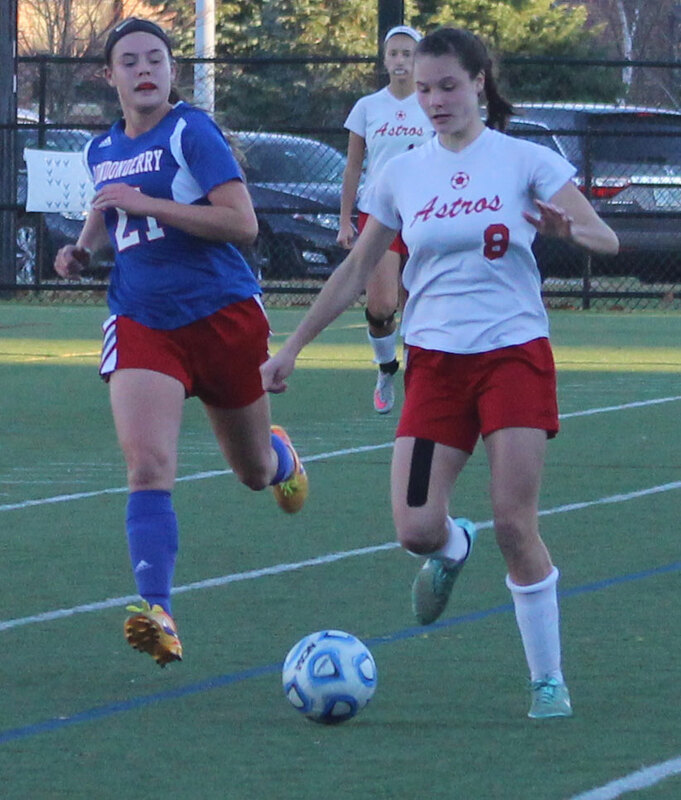 Nicole Alves drew tight coverage from Halle Hamilton most of the game. Laurel Goding and June Cranmer got in clean on GK Sam Mitchell but couldn’t get a shot off. Courtney Velho, Catherine Goodwin, Reanna Romano, and Mel Roberge of PA put shots past GK Jackie Luckhardt in the PK section of the game. 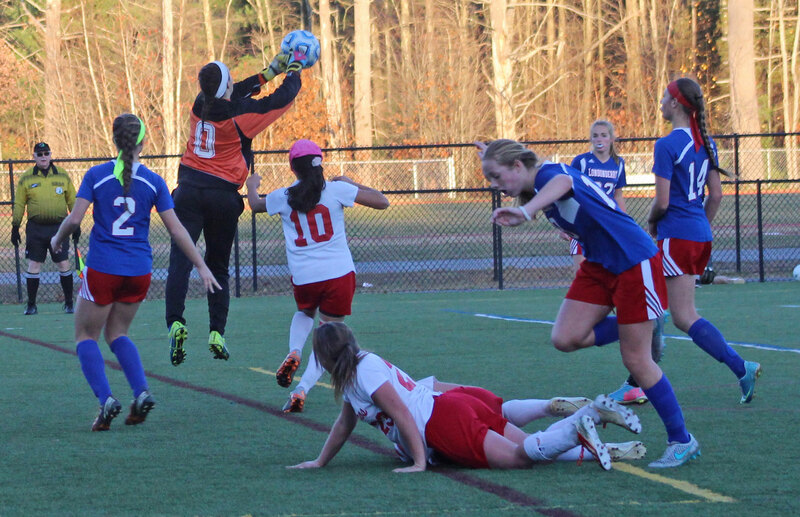 Halle Hamilton, Samantha LeClair, and Erin Barnes of Londonderry scored on GK Sam Mitchell in the same segment. Billy Ball Stadium was a nice setting for the title game. Nice turf and plenty of seating. My camera wasn’t so sure about those lights that came on as the game went through two OT’s and then PK’s.